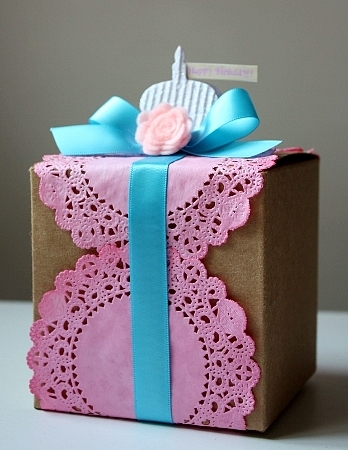 pink paper doilies, ribbon and a sweet glittered topper. Makes such a nice statement and so easy and quick to construct! box (not too tightly so it will slide off), securing the ends at the bottom. 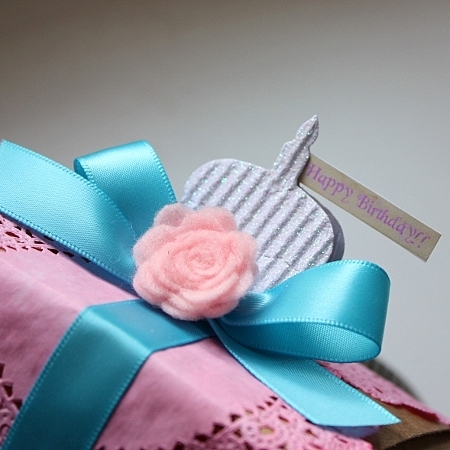 of my most favorite Curtsey Boutique products, a mini felt rose. the pieces together by folding a strip of paper between them as shown above. Shop for original and unique shabby chic, hand-crafted items at Curtsey Boutique! Absolutely stunning!!!! 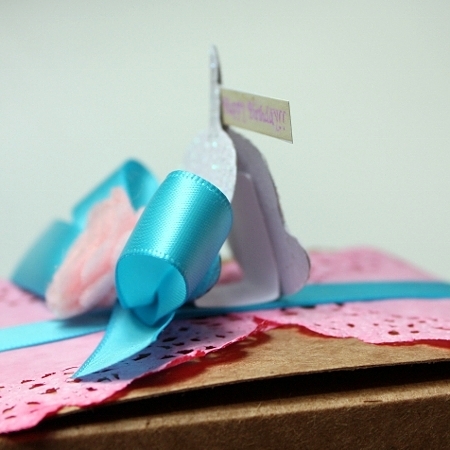 Love the gorgeous doily and the glittery cupcake! !